Happy News! You have 5% discount on your first order! Claim it now. What Do You Mean by Annotated Bibliography? An annotated bibliography refers to a collection of the listing of citations to journal articles, books, documents, and other literary sources. For every citation included in the annotated bibliography is followed by a short description of an evaluative paragraph known as the annotation to the paragraph. The aim of the annotation is to inform your audience of the accuracy, reliability, relevance, and quality of all the sources you have cited. Therefore, the annotated bibliography simply provides the summary of all the articles entries you are going to use in your research, where your readers are able to evaluate all your research sources. If you are not able to catch the attention of your readers with your research, ensure to seek assistance from custom essay writing service on hand on the web. Additionally, the summary of the sources you provide must be a concise exposition of the various sources that are central to your research idea or concept, and hence gives your targeted audience the holistic idea of the contents of all your sources. The various sources for your citations may be derived from dissertations, books, journal articles, government documents, pamphlets, websites, and other multimedia sources such as films and audio recordings, as well as other print and digital materials. Furthermore, the annotated bibliography must be arranged in a chronological order alphabetically by the author or by the date of publication. In lieu of writing your research or dissertation paper, you will be required to first develop an annotated bibliography. Therefore, in such a case the purpose of writing an annotated bibliography will be showing your understanding of the literature at the bottom of your research problem. The annotated bibliography will also demonstrate you are capable of conducting a thorough and effective review of the very key aspects of the available literature relevant to your research problem. The annotated bibliography is also important in enabling you to share the various academic sources you are going to use for your research with your peers or classmates so that cooperatively and collectively every member of your class gets a comprehensive understanding of your main research aspects concerning your research topic. Therefore, you should view an annotated bibliography as a highly purposeful and deliberate, insightful, and in-depth review of the literature than what is commonly performed for a research paper. Students who are finding it's tough to find out academic sources should buy annotated bibliography from cheap essay writing service that offers best quality papers. A well developed annotated bibliography should give confidence you the confidence to think perilously pertaining to the contents of the various research works related to your research topic and help you find their place within the holistic field of study, as well as deriving their relevance, ideas, and assumptions to your own research. Thus, the annotated bibliography will provide empirical evidence of the various sources that you have read, understood, and analyzed. It will also establish your research validity and authenticity for the research you have conducted and to you as the researcher. Hence, the annotated bibliography will provide you with the opportunities that you need to take into consideration, as you will need to include the most important and relevant digital, multimedia, and archival materials inside your literature review. Again, the annotated bibliography will be important to situate your research study in relation to the underlying research problem in a concise and continuing professional tête-à-tête, as well as provide opportunities for other people interested in your research study to determine if the sources you are using will also be helpful to their own research endeavors. Best essay writing service stands as a boon to students who are not able to in researching and finding materials that can feed their paper. Furthermore, a well developed annotated bibliography will help other researchers in determining if they might be interested in your research study through the provision of background information in addition to the idea or concept of the kind of scholarly investigations that have been performed in your specific area of study. Therefore, by writing a well developed annotated bibliography helps you in developing the necessary skills that are critically relevant and related to your research study, as well as help you identify the most pertinent points of your research study. Thus, in essence, the annotated bibliography will effectively help you to synthesize the contents of your research sources in a manner that assists your audience in determining the usefulness and validity of your topic of investigation or research problem. Descriptive: This type of annotated bibliography is concerned with the provision of the description of the source without necessarily providing a summary of the actual hypothesis, argument, or message found in the source’s contents. It resembles an abstract in the sense that it only describes what your sources addresses, the issues being investigated, and other special features including appendices and bibliographies that were used in complementing the main text. Therefore, a descriptive annotated bibliography does not criticize or evaluate the contents of your sources and only seeks to address whether the source fully covers your research topic or problem. Informative or summative: This type of annotated bibliography summarizes the source’s contents, argument, hypothesis, or message. It will typically contain the research methodology, research hypotheses, research findings, and conclusion. However, you will not be required to provide your own evaluative comments concerning such contents but will seek to analyze the authors’ arguments and conclusions. Evaluative, Critical or Analytical: This type of annotated bibliography will attempt to evaluate the statements made about the sources’ contents. This is the most common type of annotated bibliographies where your criticism may underscore the description of the research study’s strengths and weaknesses. It will also provide a description of the applicability of the conclusions to the particular research problem you are investigating. Therefore, this type of annotated bibliography seeks to find if the authors’ reasoning is logical and sound, if the research methodology applied is effective into solving the research problem, if the source completely addresses all the aspects and relevant issues in relation to your research topic, and how the sources you have selected compare to otter sources relevant to your research topic. This is the type of annotated bibliography that you will most likely to develop for your dissertation or research study. The process of writing or developing your annotated bibliography calls for the utilization of various intellectual skills that will concisely provide an exposition of succinct analysis of an informed library research. First, you need to locate all the relevant citations to periodicals, scholarly journals, books, and documents to your research problem, which may contain useful literature pertaining to the concepts and ideas of your research topic. You will be required to cite your sources using the appropriate citing styles such as MLA, APA, Turabian, Chicago, IEEE, or any other required citation style. The next step is to critically examine and review the actual items of the source, hence select the research works that will enable you to provide a variety of different perspectives on your research topic. You will then be required to write a concise annotation that provides a summary of the research study’s core theme, as well as the scope of the source you are using by evaluating the authors’ authority or background, providing relevant comments to your target audiences, contrasting or comparing the source to other sources you have cited, and explaining how the source illuminates or highlights your bibliographic topic. The effective strategies for identifying possible sources for your annotated bibliography are to identify the most recent scholarly works relevant to your research topic, and consequently review these sources cited by various authors. Typically, the items that you cite by a particular author or authors will effectively help you to relate the various sources concerning your research topic. Likewise, you can identify one or more scholarly sources relevant to your research topic and through the use of an internet search engine like Google Scholar will provide you with several links to the relevant sources to your research topic. Therefore, it is imperative that the strategy you use in selecting your annotated bibliography sources depend on the assignment purpose in addition to the research problem you are investigating. The best sources for your annotated bibliography should include anything that you anticipate has some value in helping fully understanding your research problem. Therefore, you are required to be as creative as possible in thinking about all the possible sources. These sources can include nontextual items such as photographs, maps, films, and audio recordings. Others include primary and archival materials such as government documents, diaries, meeting minutes, official memorandums, and collections of personal correspondence. You should effectively define the sources you have cited in your annotated bibliography by sufficiently narrowing the coverage to ensure that you will not be overwhelmed by the number of possible items that you will need to consider. There are several strategies you can use to narrow down a topic for a research paper in defining the scope of your annotated bibliography. You need to look at a particular aspect of the source by selecting a single lens through which you review the research problem, otherwise look at just a single facet of your research problem. Remember that the shorter the time period to be covered implies the more you narrow down your focus. Again, the smaller geographical region you are covering means the fewer items will be there for you to examine in your annotated bibliography. You also need to lay more emphasis on the specific type of places, people, things, and aspects, an in addition to your bibliographic source including specific types of materials such as only having scholarly journal articles, of which you must be capable of explaining why you only restrict yourself to one type of source. Furthermore, you can use two or more of these strategies in defining your focus for the annotated bibliography by narrowing or widening the coverage of a specific research problem. It is important that all the items you use in developing your annotated bibliography fully reflect how the sources you have chosen contributes to the understanding of your research problem, as well as the overall issues you are addressing. It is also important to determine how your sources are utilized in your annotated bibliography together with a succinct definition of the source’s contribution to your study. Therefore, you are required to assess the quality of the source’s central or core theme or argument within the source. There are usually some specific components to assess such as the items overall value in comparison to other sources relevant to your research topic, as well as its effectiveness, limitations, methodology, research problem definition, quality of evidence, and conclusions together with recommendations for future study. With this assessment, you should be able to determine whether the source selected is of value and hence should be included in your annotated bibliography. However, this will depend on your thinking perspective in relation to the source’s contents. Therefore, it is imperative to take note of whether you are interested in the manner in which the author frames his or her research questions and the way the researcher goes about answering those particular research questions. You should also examine the research findings in order to make several new linkages that will help you to promote new ways of understanding both the researchers’ study ideas and your research problem. By assessing the value and relevance of the sources you have selected to use in your annotated bibliography, you should consider whether you are interested in the manner in which the author utilizes his main concept or his theoretical framework. You should, therefore, consider if the source you have chosen refers to and analyzes a specific body of evidence that you need to be cited in your annotated bibliography. Furthermore, you also need to assess the author’s conclusion especially those that are relevant to your overall investigation of your research topic. Finally, the format and content of your annotated bibliography will depend on its purpose, as well as the nature of the assignment. You may list the contents alphabetically by author or chronologically by date of publication. You need an introductory paragraph that describes the methods applied in the identification of the sources. The first part of every entry should be the citation in an appropriate citation style that must be consistent throughout your documentation followed by the annotation in paragraph form that summarizes the content of the source. 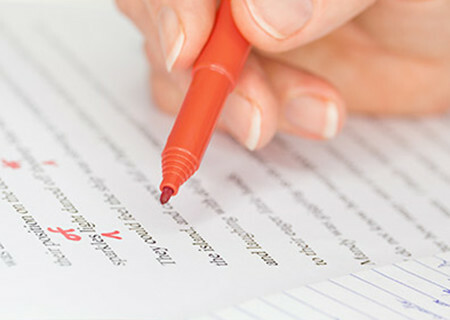 The length of the annotation may vary depending on the purpose of your annotated bibliography; however typical lengths are usually approximately 300 words. We hire our essay writers only after getting original academic certificate. Your essay writing done with us is 100% confidential. We will never share it with any one even to our own writers. Services of EssaysChief.com are offered with the aim to assist students’ to mainly focus on their school, college and university studies along with improving their grades. We by no means support plagiarism and provide our services for the referencing purpose. So, we recommend you to use our services for the same reason.